Sap was being gravity fed into the old wood-fired evaporator. A large tank above the evaporator held clear sap that was ready to be boiled. The sap funneled through fluted channels in the large pans. 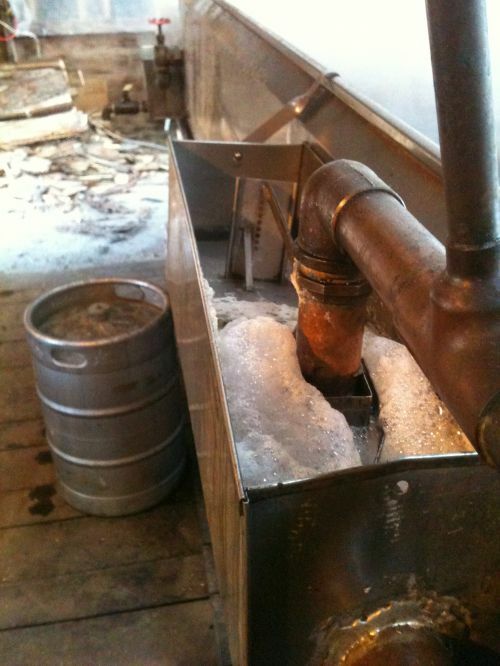 As water was boiled off, the sugars and minerals were left behind to make maple syrup.